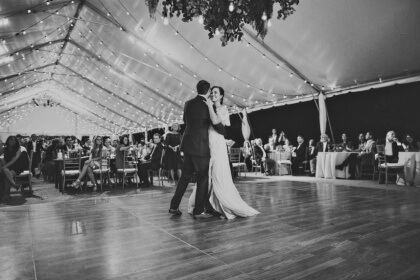 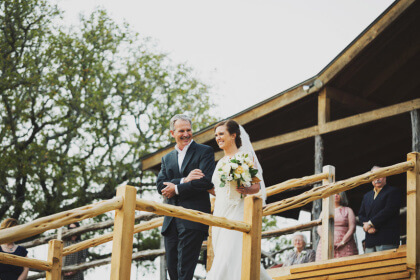 THE LOVE STORY: Lauren worked at Nordstrom when she first moved to Dallas. 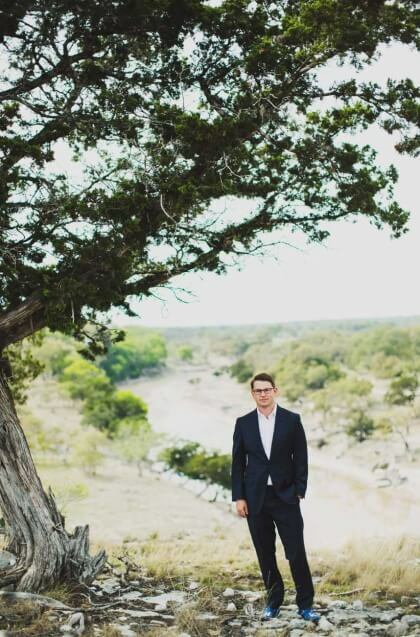 Andrew came in one day to buy pants for business school, and Lauren was not amused when she was trying to narrow down what type of pants he needed and all he could say was, “I need pants.” Two hours and lots of pants later, Andrew left with Lauren’s business card and a date. 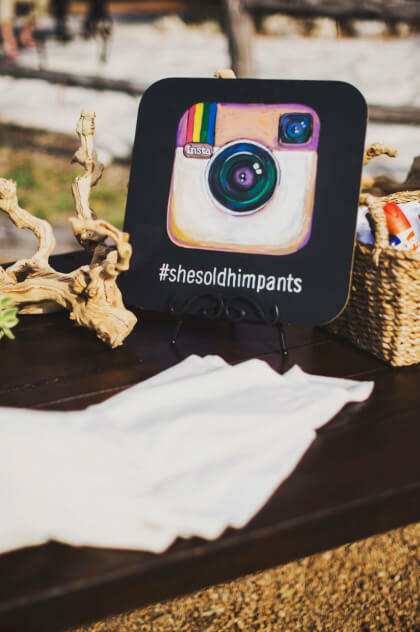 This inspired their wedding hashtag, #shesoldhimpants. 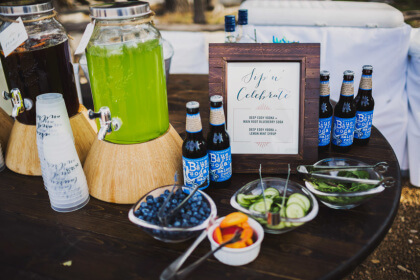 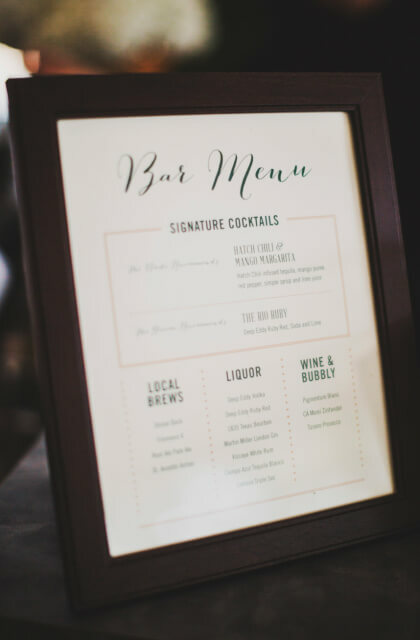 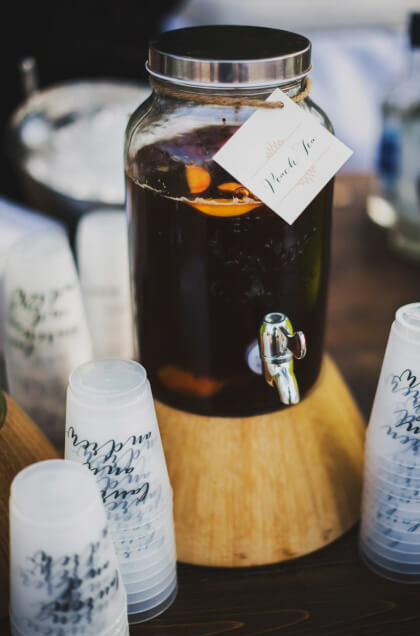 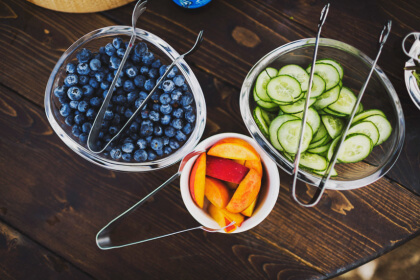 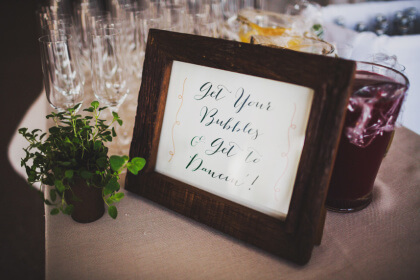 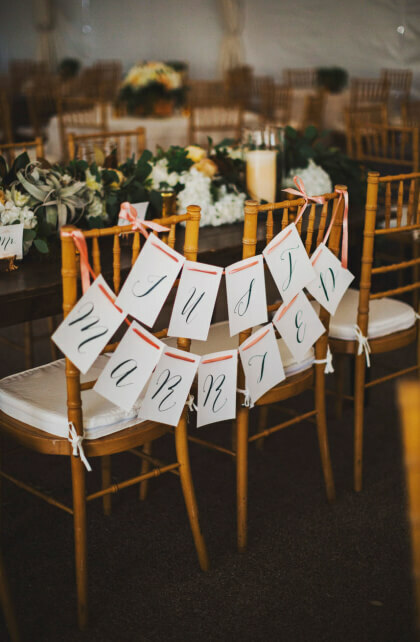 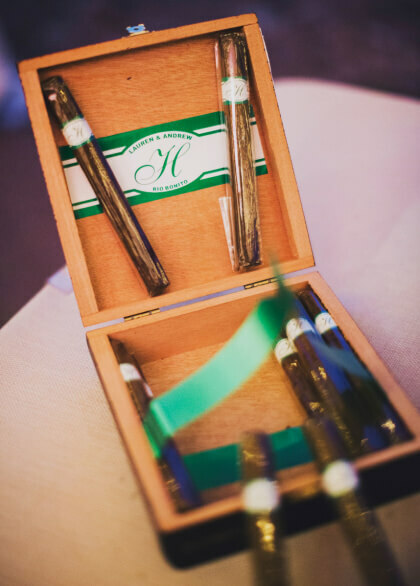 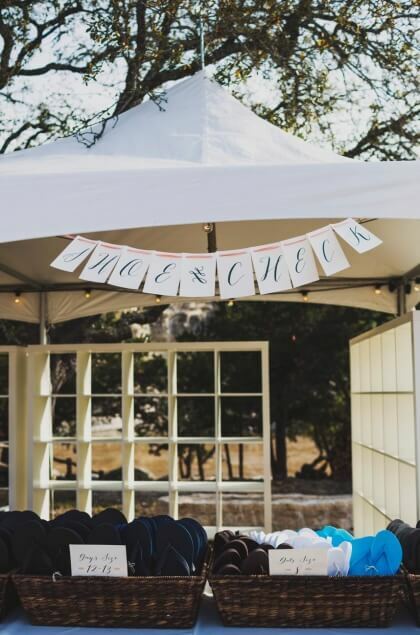 STEAL THIS IDEA: The couple sent out Save-the-Date boxes stuffed with two monogrammed cups, two small Deep Eddy Grapefruit Vodka minis and nine coasters that formed a puzzle showing a picture of the venue, the wedding info and hashtag, and a signature cocktail recipe. 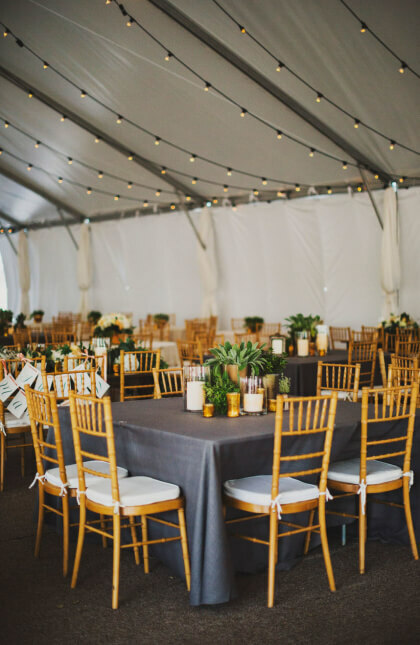 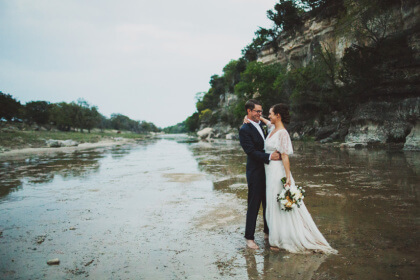 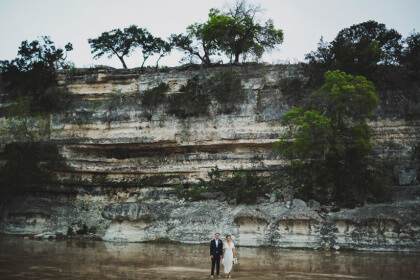 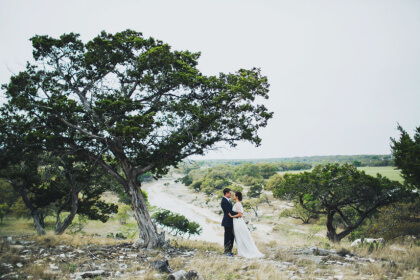 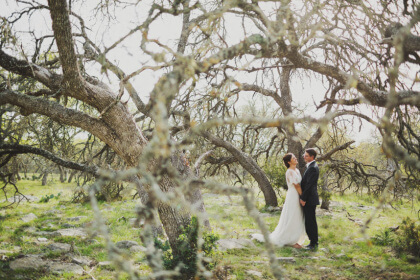 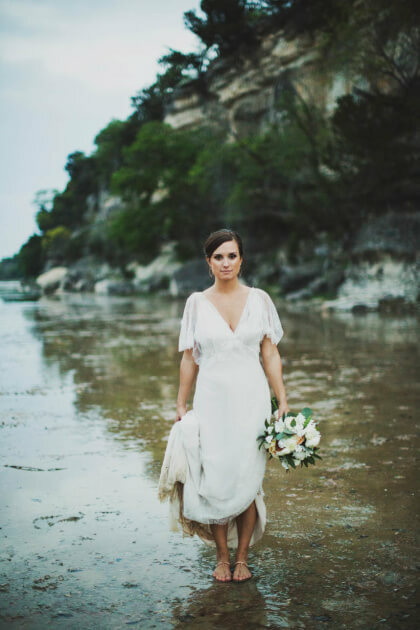 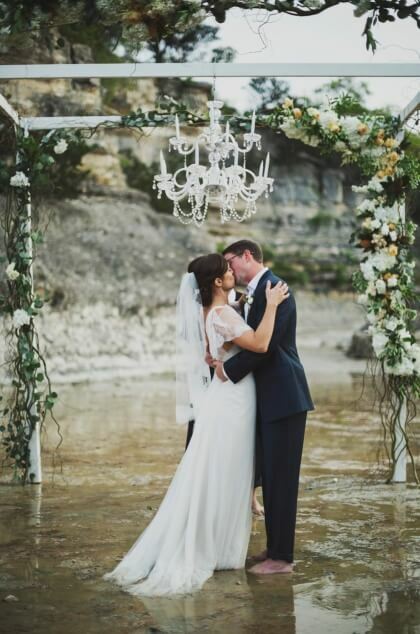 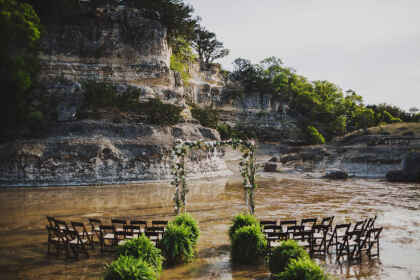 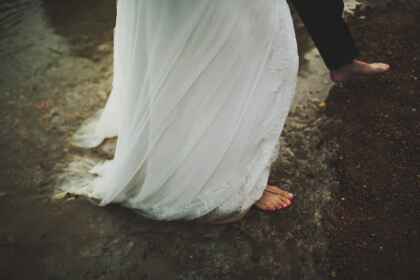 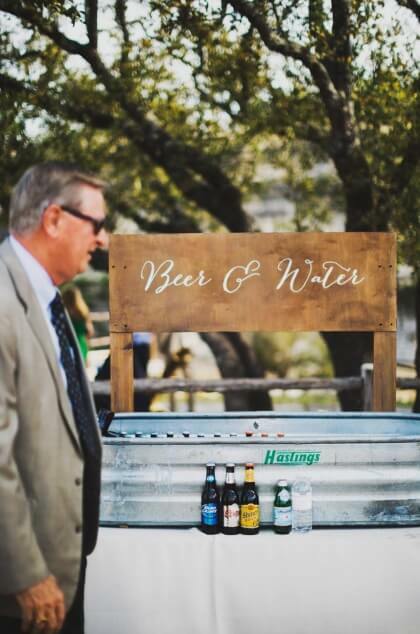 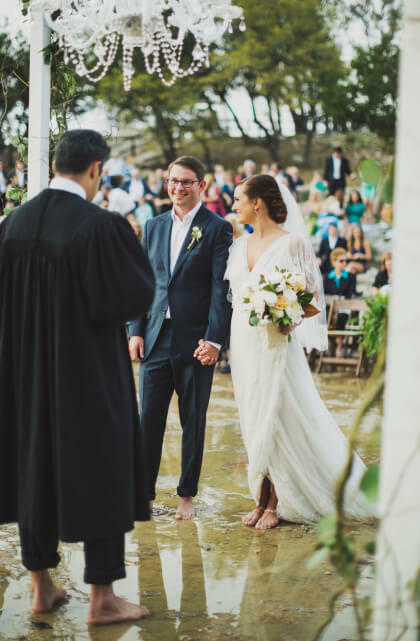 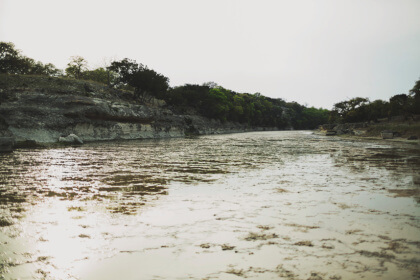 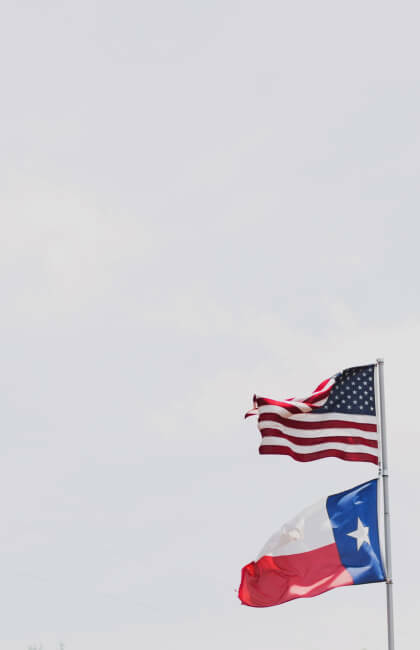 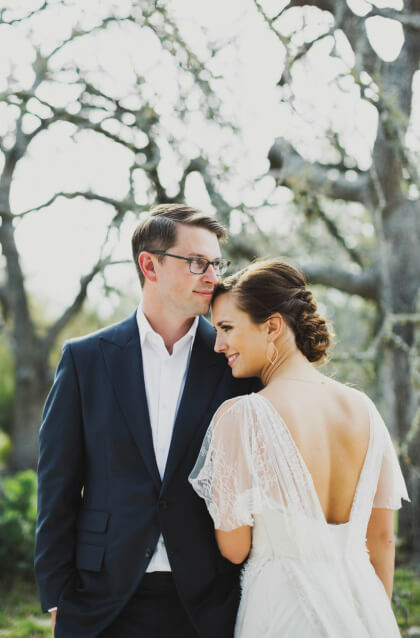 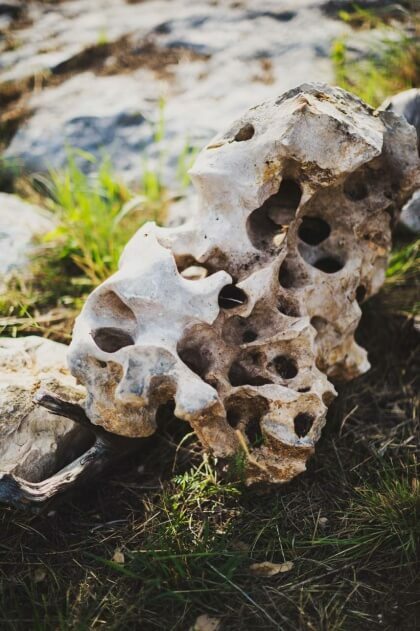 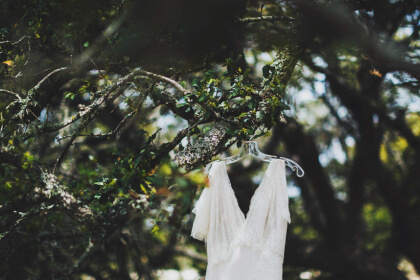 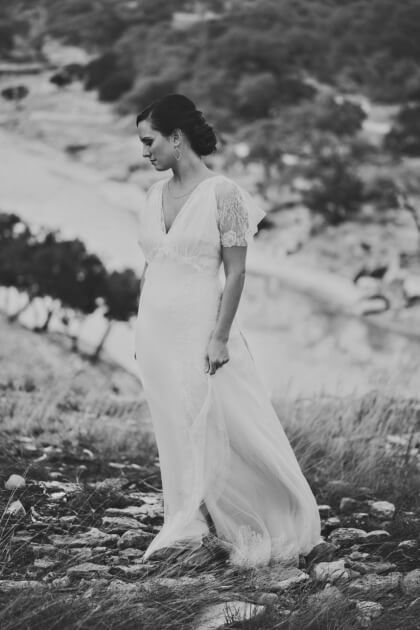 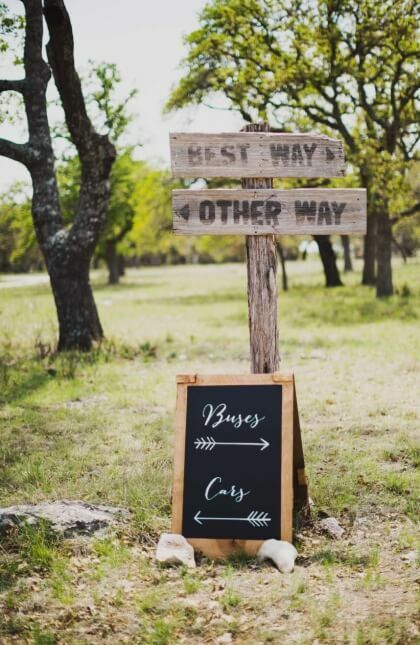 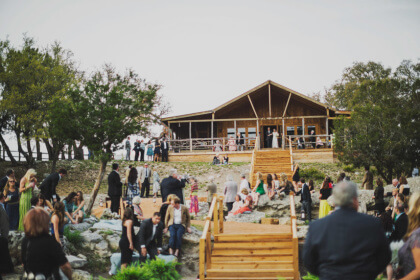 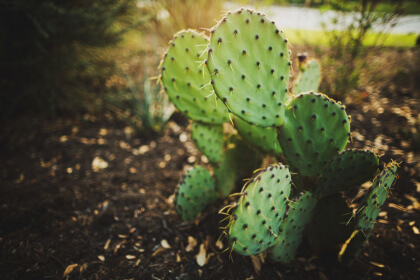 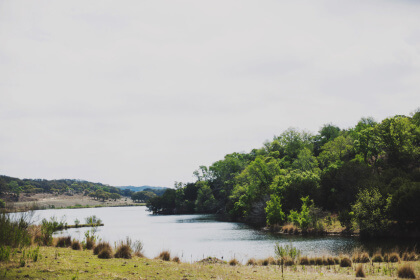 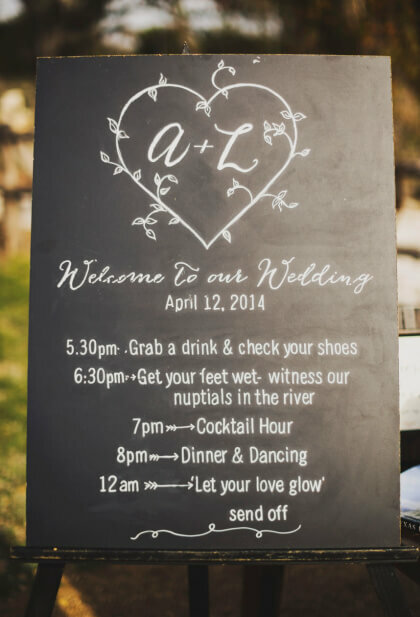 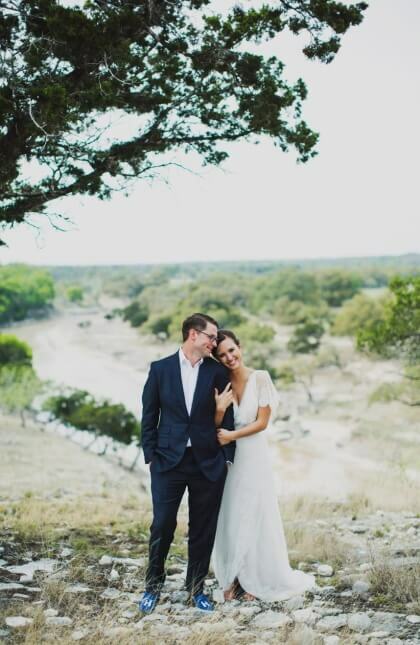 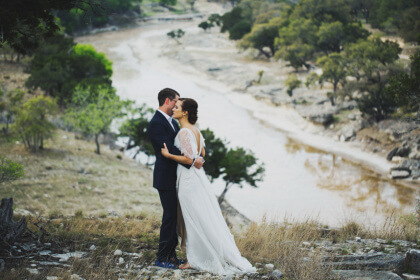 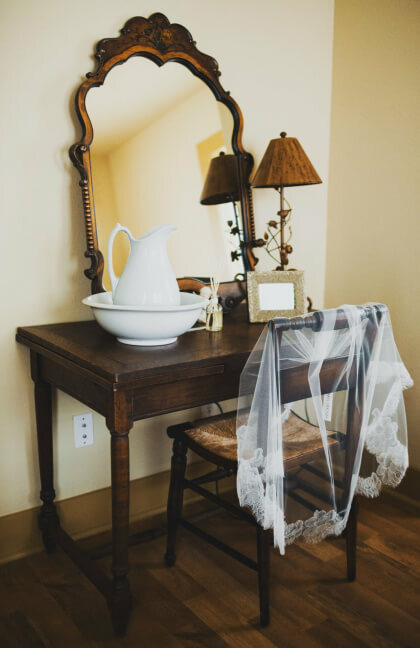 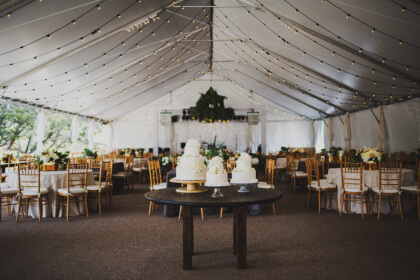 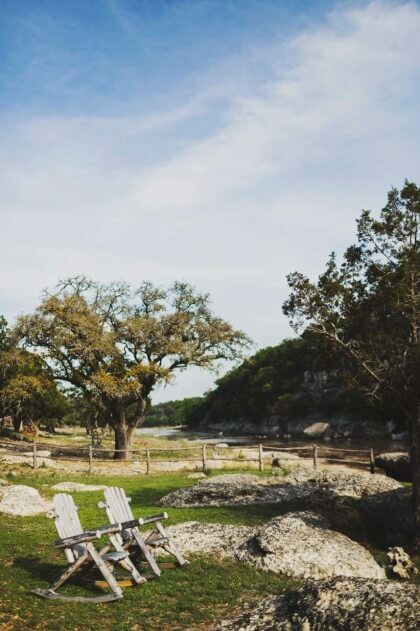 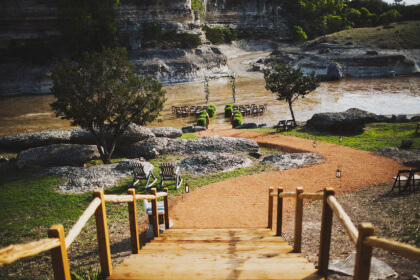 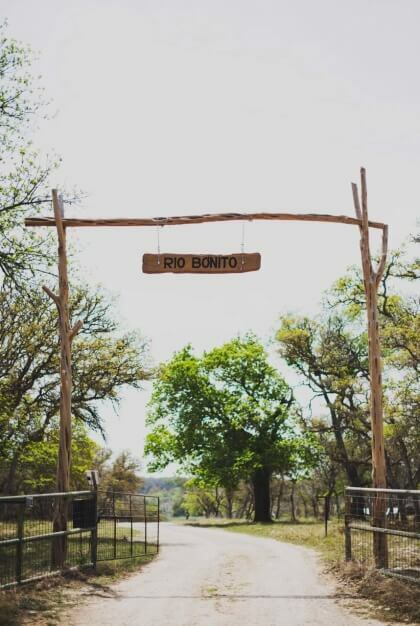 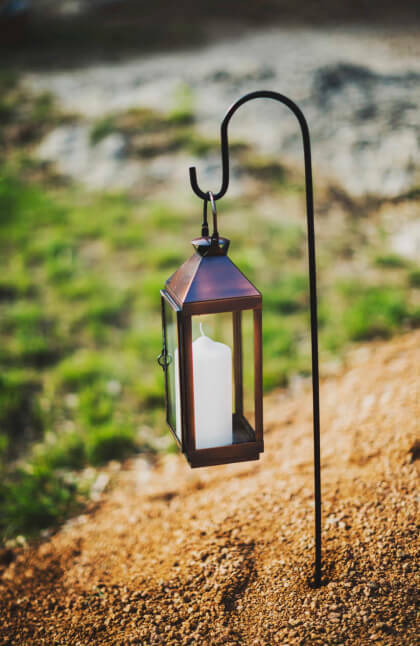 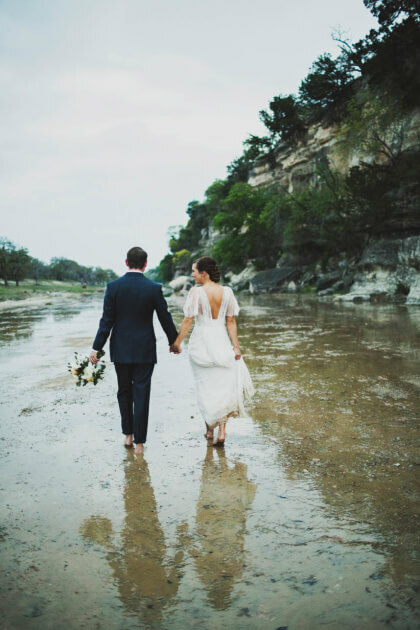 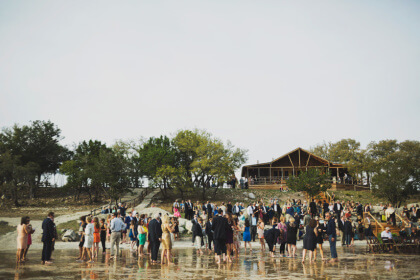 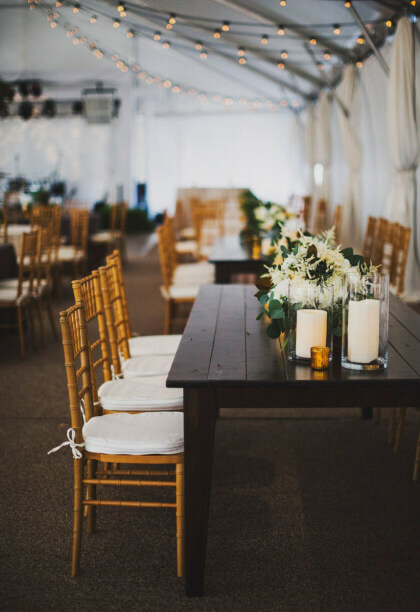 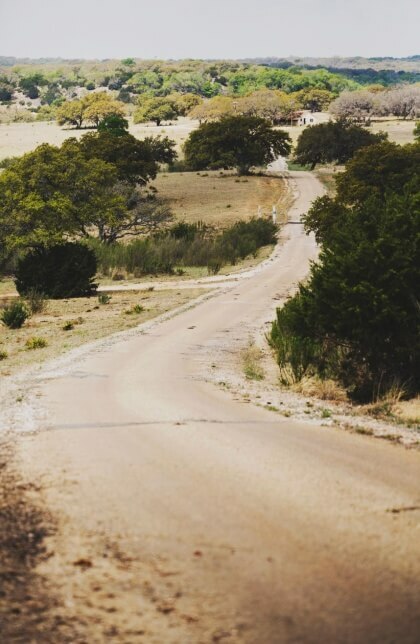 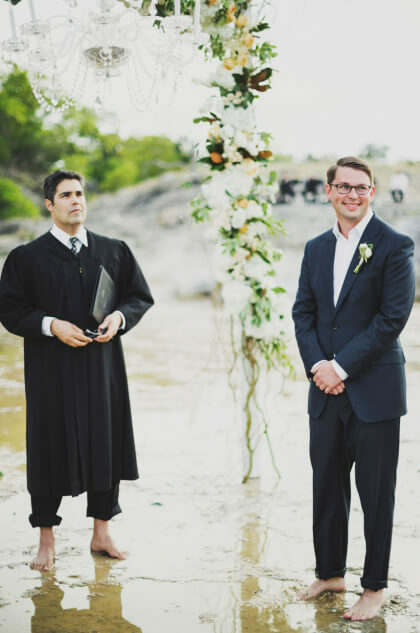 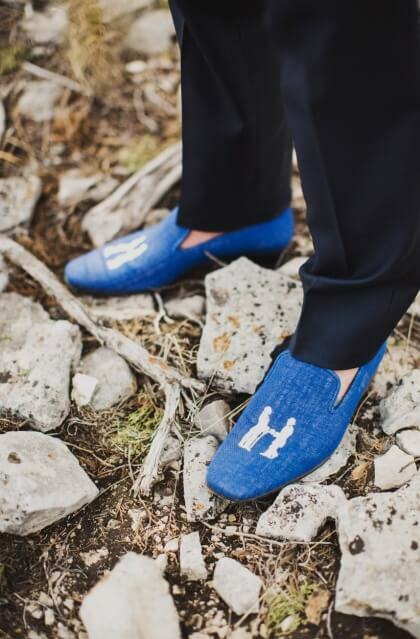 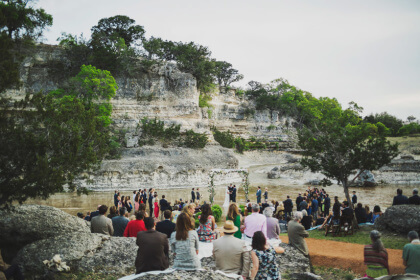 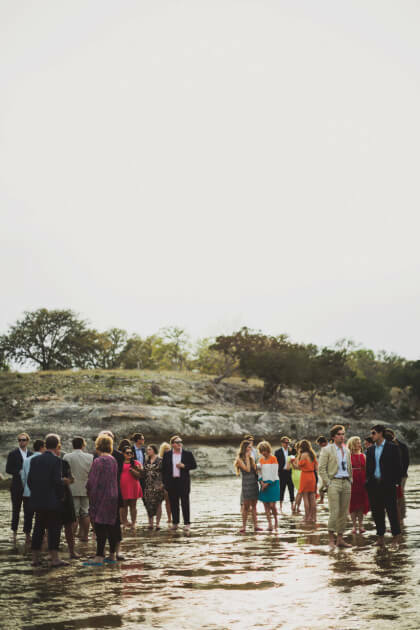 THE SETTING: Lauren and Andrew were married at Rio Bonito, Andrew’s family ranch right outside of Fredericksburg, with their toes in the water of the Pedernales River. 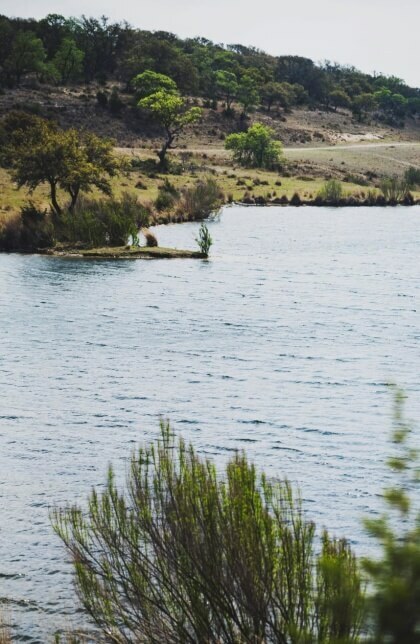 The beauty and charm of this special place is hard to describe without being able to lay eyes on it. 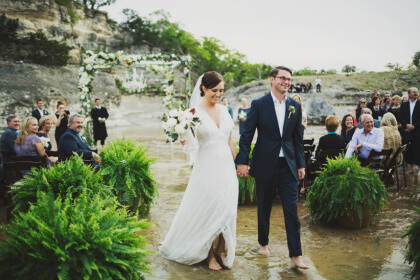 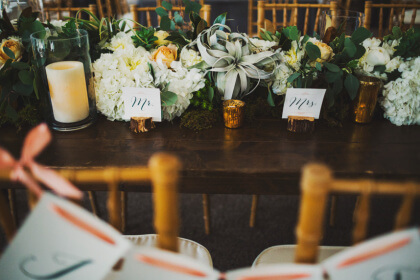 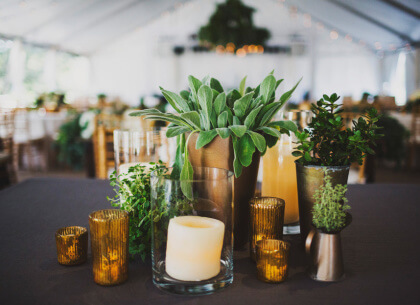 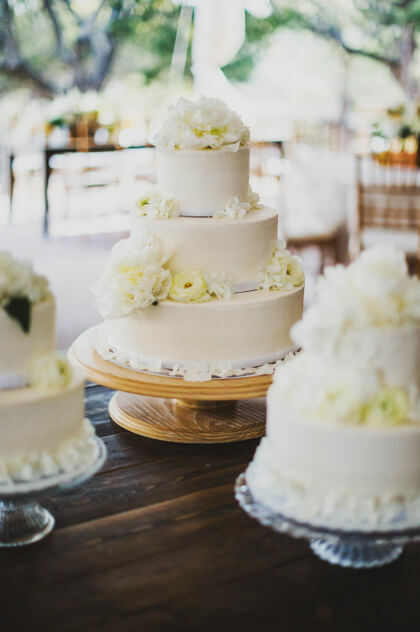 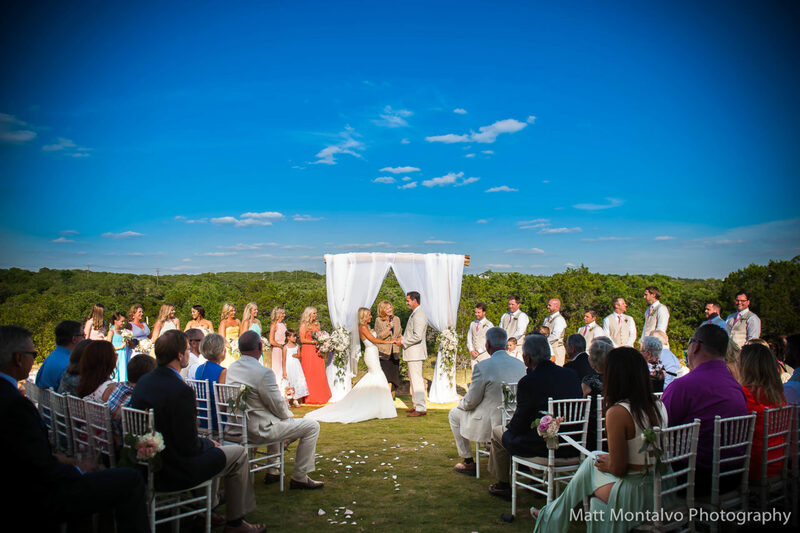 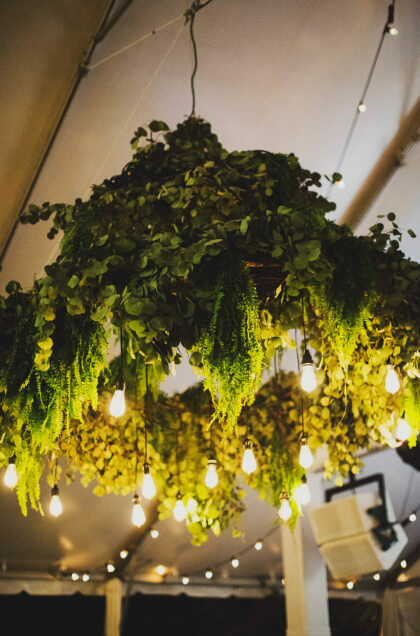 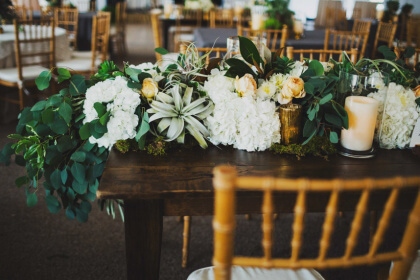 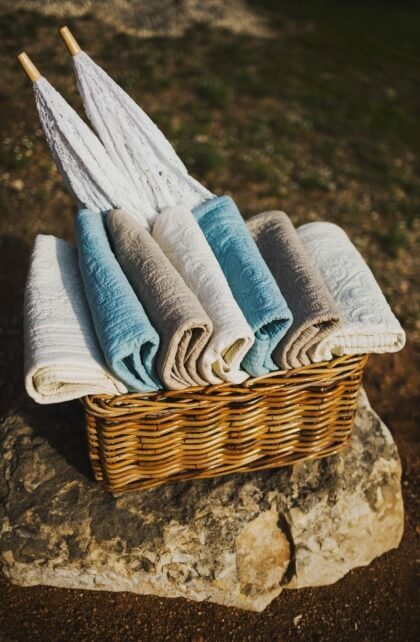 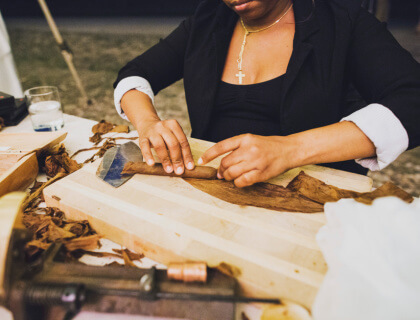 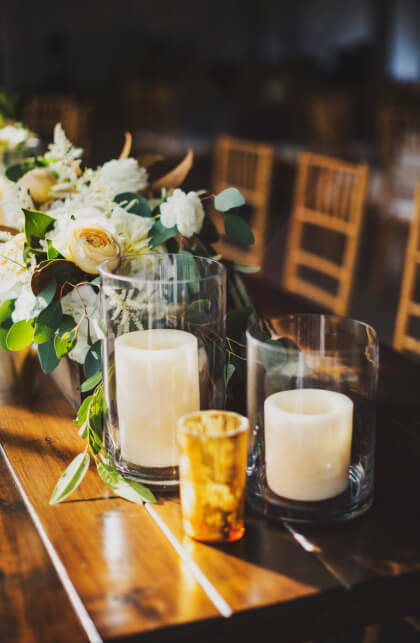 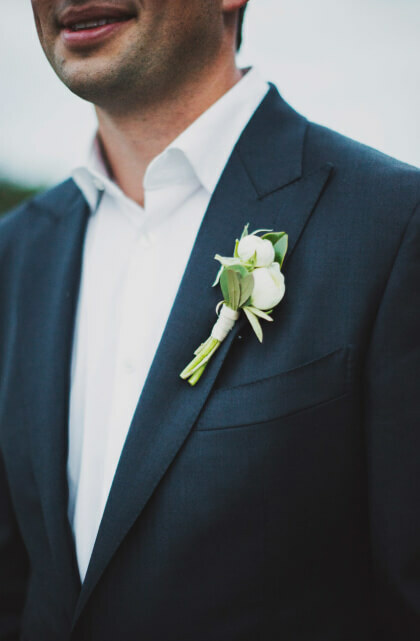 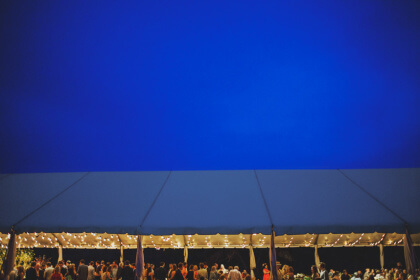 HUES SHE USED: The couple’s color palette was inspired by the natural beauty of Rio Bonito. 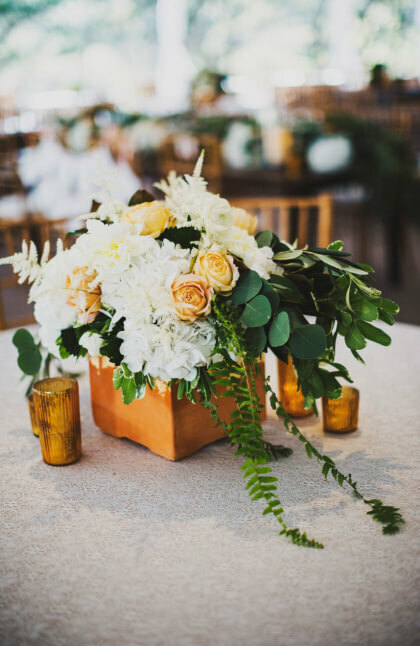 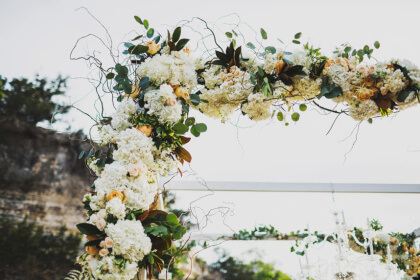 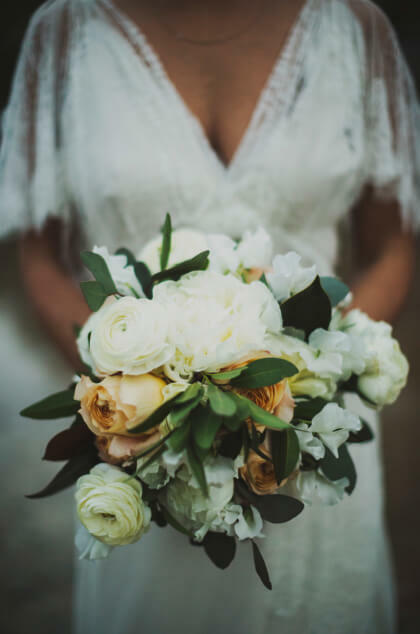 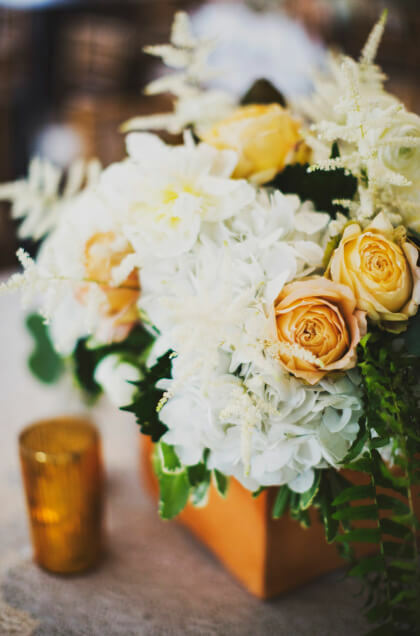 They did not want to take away from nature’s backdrop, so they kept the florals to simple greenery with soft peach and white hues. 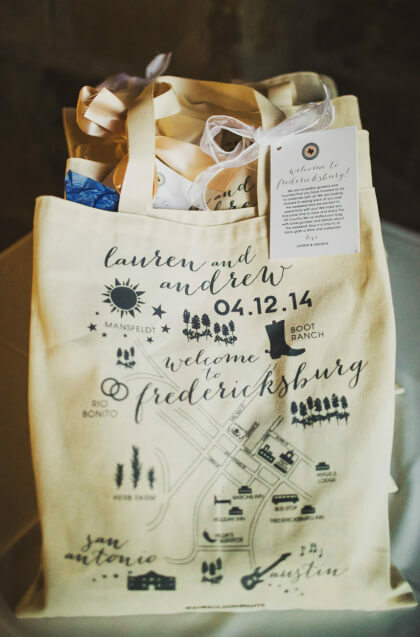 SPECIAL TRADITIONS: Lauren carried Andrew’s grandmother’s Bible along with her bouquet. 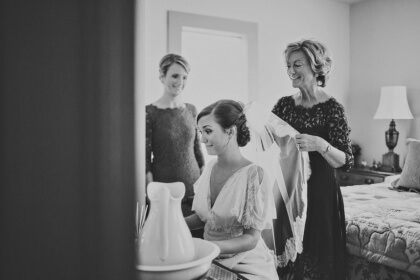 The Bible was a gift given to her on the day of her wedding to Andrew’s grandfather 55 years ago.